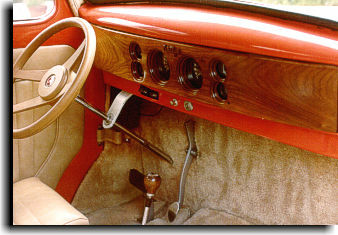 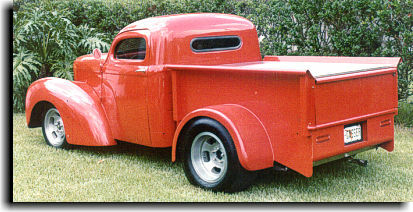 The interior for this chopped Willis P/U was constructed by Catalina Custom in 1987. 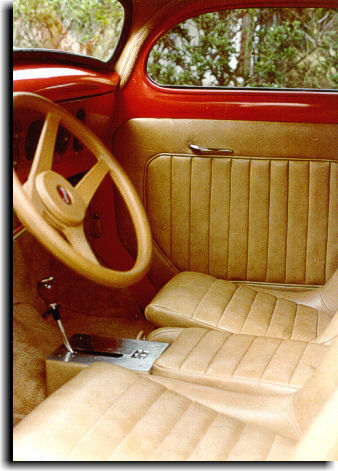 A pair of modified Porche seats was upholstered in a nice tan vinyl. 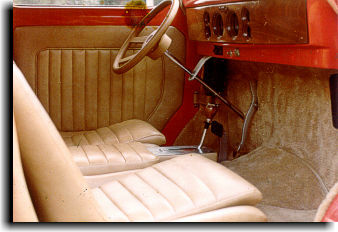 Door panels, headliner and buckskin cut-pile carpeting finished the interior of one of the nicest vehicles Catalina has worked on.